The very first issue of Aquarium Frontiers (Fall, 1993) began with a feature article by Julian Sprung entitled A Review Of Algal Filtration: History & Future. That was over 10-years ago – 1991 to be exact. 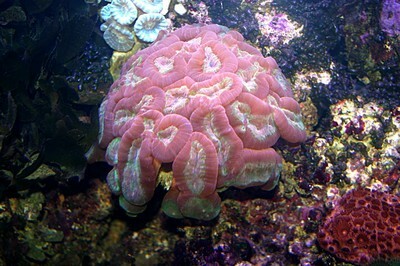 It was a time when most reef aquarists opposed Dr. Adey’s ATStm (algal turf scrubber) filtration system. Much of Adey’s material on this topic is elucidated in his book Dynamic Aquaria – Building Living Ecosystems. The advocates of the so-called Berlin system (bare bottomed tanks, protein skimming, and activated carbon) were, to say the least, scornful of the ATStm system. That was then. During the last 10-years the Berlin system underwent a gradual evolution, an evolution that brought it more in line with the ATStm system than many realized. The introduction of sand beds – many quite deep –, along with refugiums and miracle mud sought to accomplish what ATStm systems were particularly well suited for. That is, a way to consume excess nutrients produced by the larger and larger fish biomass that reef keepers where housing in their reef tanks. It is now realized that in a real sense protein skimmers are algal scrubbers – they export significant quantities of phytoplankton. The bottom line is still the same, to balance the production of waste by the producers (primarily fish) and the consumption of said waste by consumers. It is here that the ATStm system really shines. 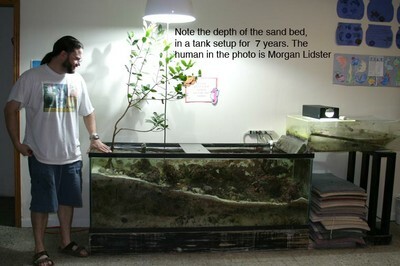 This is a truth that was brought home to me, as I pointed out in last month’s editorial, by my visit to Morgan Lidster’s Inland Aquatics — http://www.inlandaquatics.com/. “I would like to point out that I represent Aquatic Technologies, Inc., better known as Inland Aquatics. ‘Though these companies have yet to prove profitable, they are For Profit enterprises. Make no mistake about it…. I am biased! Truth be told, it is arguably more accurate to describe Inland Aquatics as a representative of me. Inland is a public window into the last five years of my life. Presenting myself as anything but intimately connected to it would be dishonest. Nevertheless, as you learn more about Inland Aquatics, I am confident you will agree that I’m actually “pitching” a sustainable future for OUR hobby. It’s important to note that, except when I state otherwise, I am speaking of true Algal Turf Scrubbers (ATSa), as developed by Dr. Walter Adey of the Smithsonian’s Marine Systems Laboratory. True ATS scrubbersa are specifically designed to maximize the sustainable growth of algal turfs, the most efficient algal community known, while minimizing maintenance. ATS scrubbersashould not be confused with other types of algal filters, many of which are confusingly marketed as “Algae Scrubbers.” The patented dump bucket makes it possible to maintain the turfs…..the turfs do the “scrubbing”. Inland Aquatics has designed, built and operated ATScrubbers on commercial mariculture systems, retail showroom systems, and residential (40 to 400 gallon aquaria) systems for approximately five years. Based on our experience with commercial mariculture systems, we designed ATStm scrubbers for hobby scale usage. Though they have yet to be mass marketed, we have been selling residential size systems to aquarium hobbyists since mid 1997. Total gallons of ATScrubber-driven systems maintained, by Inland Aquatics, under this paradigm is approximately 45,000 gallons. Some of our original systems have been combined into larger systems, but our showroom houses systems over 4 years old. ATStm scrubbers are the only filters on all our systems, unless you count the sediment trapping refugia. While we recommend at a 5% -10% annual water changes, the water in these display systems has yet to be changed. Nevertheless, we are pleased to compare it to any conventional, high maintenance system, regarding appearance, biodiversity, and overall success! Our systems are fed HEAVILY, 3-6 times daily; allowing planktivores such as Anthias, Chrimis and Sleeper Gobies to flourish. Reefs with large fish populations are awesome, especially when the fish are healthy, robust, and spawning as they would in their natural environment. 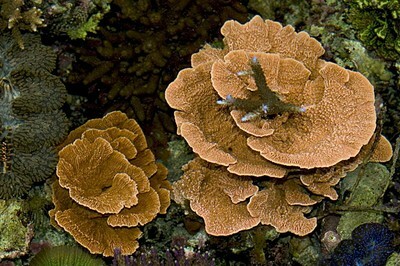 We feel this may be a contributing factor to overall coral health and our success with Goniopora sp. 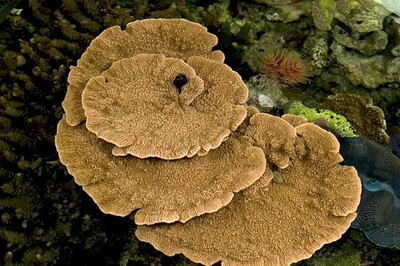 We’ve seen examples of Fungia, Turbinaria, Goniopora, Lobophyllia, Wellsophyllia,and Favia, which were exceptionally damaged when introduced to the system and recovered fully; quickly in many cases. Traditional cycling isn’t necessary. 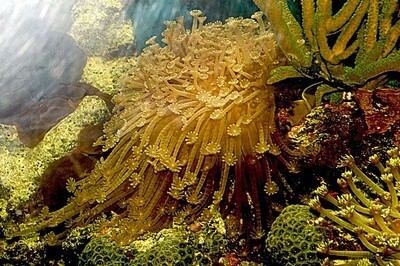 ATStm scrubber screens make it possible to establish healthy, heavily loaded and fed, reefs in a day or two!! Minimization of water changes (10%/year) provides substantial long term savings. ATS scrubbers eliminate the need for multiple filtering and maintenance systems. The ATStm scrubber readily handles nutrient spikes caused by dead fish, overfeeding, etc. Moreover, unlike any other filter, it can actually been run “overtime”. Increased biodiversity due to the ability to feed heavily and the absence of skimmers, mechanical and chemical filters or multiple power heads. The majority of our ATS systems are designed to turn the system volume over a mere 1.5-4 times per hour. Oxygen at super saturation seem to make a big difference. Talk’s cheap! I’m sure you’re wondering, “why”, if ATS scrubbers are so great, “have I read so many negative opinions about Algal Turf Scrubbing”…. I’m going to touch on the three main reasons, as I’m sure I’ll get asked about this later. 1) All “scrubbers” are not created equally! Although there are benefits to any photosynthetic filtration process, only true ATStm scrubbers are designed to utilize the incredible power of algal turfs. Turfs are 10 to 100 times as effective as macroalgaes. Only filters with true algal turfs are truly scrubbers. 2) These systems are different! Many have failed simply due to miscommunication of the Dynamic Aquaria paradigm. ATS microcosms work incredibly well, but only if one allows them to! The success of Dr. Adey’s personal systems, hundreds of ATStm scrubber owners, and Inland’s 40,000 + gallons of thriving captive reef illustrate the incredible potential of this difference. Accounts of frustrated professional aquarists, on the other hand, illustrate the gravity of that difference. These are some photos I recently took at Inland Aquatics. 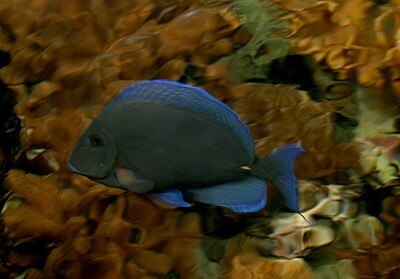 Note the photo of an a Atlantic Blue surgeonfish. This surgeonfish is especially difficult to keep in captivity – I was especially impressed by the health of this specimen in one of Inland Aquatic’s ATStm tanks.